Saturday, June 18 Garden Lecture by Adam Wheeler, Broken Arrow Nursery Doors open at 8:30am. Lecture at 9:00am. $15 in advance. $20 at the door. Start your day with a Continental breakfast of home-baked goodies and more while enjoying an illustrated lecture, sponsored by Ward’s Nursery in Great Barrington, that explores a garden free from the impact of deer. 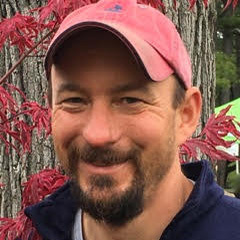 Adam will discuss the ornamental qualities and essential cultural requirements for a diverse assortment of plants that show strong resistance to deer browse including a healthy diversity of Eastern U.S. native plants as well as some well-behaved exotics. Learn more about the Hidden Gardens event. Propagation and Plant Development Manager of Broken Arrow Nursery in Hamden, CT, Adam loves to share his passion for plants through photography and educational outreach. As a result, he lectures widely on a variety of subjects and is also an adjunct lecturer at Naugatuck Valley Community College and the Berkshire Botanical Garden. In his spare time, he enjoys cultivating his eclectic collection of rare and unusual plants, rock climbing and competitive giant pumpkin growing.